When I was a young boy my Great Uncle owned a mushroom farm and sometimes after dinner I would ride along with him to check on the mushrooms. We would walk through the mushroom houses and my Uncle would look at the mushrooms, record temperatures, and adjust machines. It was a fun and somewhat spooky experience for me. One thing that struck me was that mushrooms like to grow in the dark, in fact they thrive in darkness! At that time the mushroom houses did not have fixed lighting, so we would walk through and checked on the mushrooms using flash lights. It was a dark, humid, eerie place filled with white mushrooms surrounded by a vast void of black! 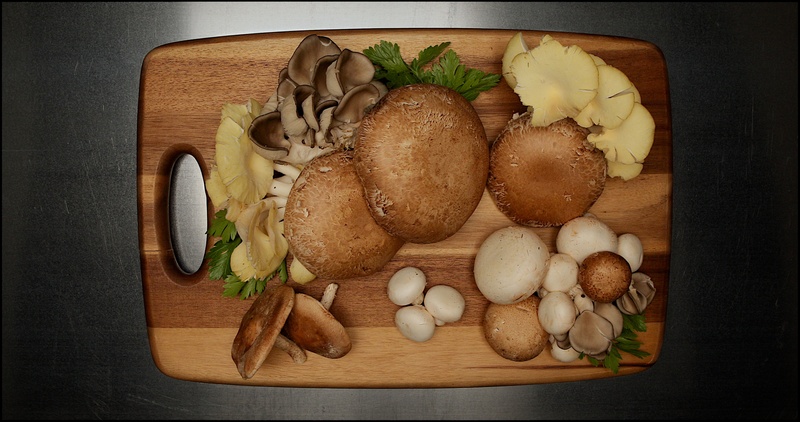 When Country Fresh Mushrooms contacted us about filming a promo video, I was excited to see how mushroom farming has changed! We scouted one of the mushroom farms and the distribution plant a couple weeks prior to the shoot. I enjoy scouting locations and find it to be a great help in generate what to shoot, how to shoot it, and when to shoot it. This process maximizes the crews time on location by helping the shoot run smoothly and achieve more and better shots. We also did a small kitchen shoot to progress the product through preparation and onto plates. The film is designed to show a brief journey of the mushrooms from the farm to your plate and is set to music with the intention of being run as a continuous loop on a convention booth television. PulseCinema is a video production company serving DC, Maryland, Pennsylvania, Virginia, and Beyond! We would love to hear your story and be part of the team to help you tell it! Contact us today!